Variant Covers: Comics’ Greatest Heroes or Most Fearsome Foes? The world of comics is filled with polarizing subjects. Just go on Twitter for a day and drink it in. Everything from sales minutiae to the cliché conversations about “which character is stronger” can lead to lengthy debates. It’s hard to keep up. But one of the greatest, most divisive subjects is the value of variant covers. Depending on who you ask and what day it is, they could be godsends or bringers of the apocalypse. “They’re predatory!” “They’re a boon to the industry!” “Maybe they’re both!” It’s a subject no one can decide on because it’s dependent on perspective. But in theory, variant covers are neat things. Providing readers a choice of the art on the comic they’re buying is an attractive idea. For retailers, it could be beneficial to have rare artifacts to sell to collectors. Many publishers love them as they create more product with limited overhead while giving retailers a reason to goose orders. As special items, the appeal of variant covers is obvious. But what happens when they aren’t so special anymore? When they become the new normal? That’s the quandary we’re in these days, because variants? They’re as ubiquitous in comics as spandex. 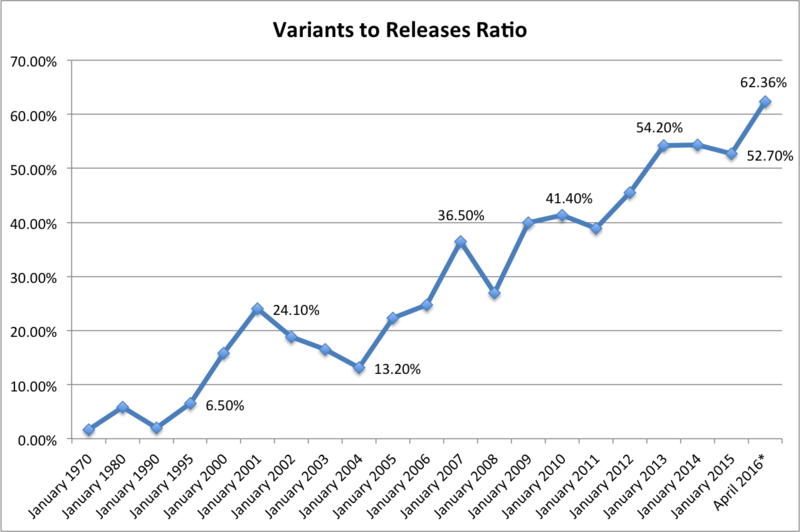 What the chart above displays is the ratio of total variants – meaning the total variant covers, not just comics with a variant – to total releases in comics (including collections) mapped out from 1970 to 2016. Before moving on, a quick shout out to Peter Bickford and ComicBase for sharing the data. While April 2016 was calculated by myself through the most recent Previews, the rest of the chart was all him. It shows the stunning abundance of variants. They’ve become so commonplace there are over three variants for every five comics released this April. These once novelty items have grown almost every year since 2004, and here’s the wild thing: if you just look at comics – not including collections – there are actually 12 more variants than titles in April. It’s hardly a stretch to say the recent growth in industry sales numbers is connected to the increased presence of variants. So the question circles back to the beginning: is that such a bad thing? Again, it depends on perspective, but today, we will try and suss out an answer. We’ll do it by getting perspectives from the three main players involved: readers, retailers and publishers. Once all angles are considered, perhaps we can come up with a proper answer. But let’s provide framework for the discussion to start. Variants are so convoluted even deciding what to include when discussing them is a mess. I bet if you asked a comic fan who has been around since the 1990’s, they might say the old hologram covers on the X-Men crossover Fatal Attractions were variants. But they weren’t! They were a gimmick, not a variant. So when we’re talking about variants, what are we talking about? For an answer, here’s Bruno Batista of Big Bang Comics. Variant covers that are regular price and freely orderable. Example: The variant covers most Image books do where you have a cover by a different artist that are still normal cover price. Variant covers that are regular price and freely orderable but follow a particular theme. Example: The Wicked + The Divine variant covers comprised of headshots of the characters, or DC Comics’ themed variant months (i.e. Neal Adams Month). Variant covers that are regular price and freely orderable, but aimed at standing order/subscription customers. Example: Any IDW book’s SUB covers. These are A/B cover variants marketed to retailers as ideal for pull list customers. Variant covers that are normally regular price but require you to order a certain number of the A cover before you can order an equivalent number of the B cover. Example: Oni Press’ upcoming Heartthrob #1. If you want 10 copies of the Jamie McKelvie variant, you need to order 10 copies of the regular cover. Variant covers that are not regular price. They require you to order a certain number of copies to unlock a set quantity of the variant. 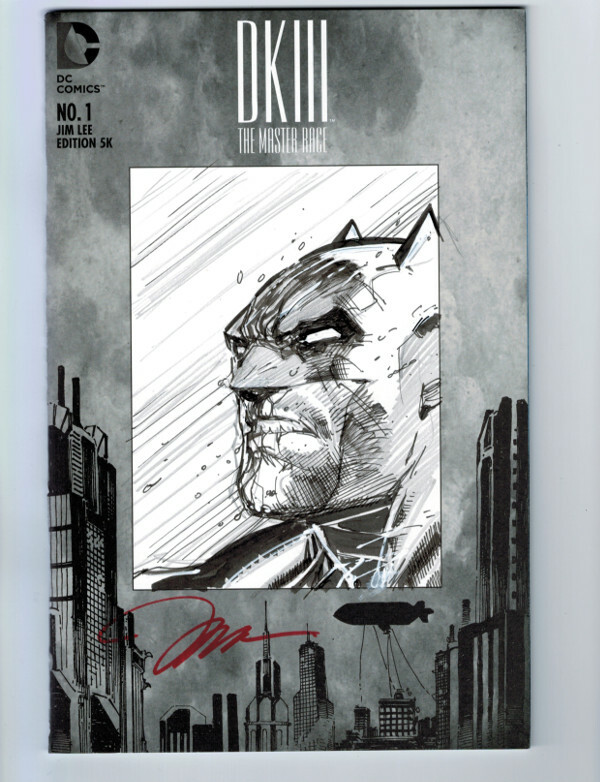 Example: Dark Knight III Jim Lee variants available to order at the ratio of 1 in 500, meaning you need to order 500 copies of the regular comic to get one variant. Variant covers that may or may not be regular price. They require you to order a certain number of copies to beat the threshold of a previous order which will then unlock a freely orderable variant. Example: A lot of Marvel’s variants are like this. To unlock the Skottie Young variant for Gnarly Inhumans #7 you have to order 125% of what you ordered of Fresh X-Men #32, meaning if you ordered 100 copies of Fresh X-Men #32 you’ll need to order 125 copies of Gnarly Inhumans #7 to then be able to order whatever copies you want of the Gnarly Inhumans #7 Skottie Young Variant. Variant covers that may or may not be regular price, ordered through individual deals between Retailers or Groups and Publishers. These are available only through certain retailers. Example: The Valkyrie Variant for Pretty Deadly #6 or the Ghost Variants done by a group of retailers. One not mentioned were the blank covers for artists (or anyone, really) to sketch on. They’re commonplace for publishers these days and require no levels to be met for orders, except in some instances (one shop mentioned Marvel sometimes makes them incentive based). You would think the customers for variants are the same as those for comics themselves. Why not? They’re all comics, right? At times, that’s true. Some who buy variants are your average comic fans who get one because it looks nice or, sometimes, because of an honest mistake. He isn’t the only one who happens upon a variant without thinking about it. While she admits to buying higher priced variants in the past – “if it’s focused on a character I love or if it has been made by an artist I admire” – Walthaus seemed to mostly end up with one by happenstance. She, Papaconstantinou and several others cited that as the most common reason for ending up with a variant. It’s a camp I belong to. I’ve never paid higher than cover price for a variant, and if I’ve come home with one, it’s often because I was picking favorites out of stack of competitors. I appreciate the options cover price variants provide, as titles like Injection and Archie are ones I often come home with a variant on. But if they didn’t exist, I’d just get the book with whatever cover was available. 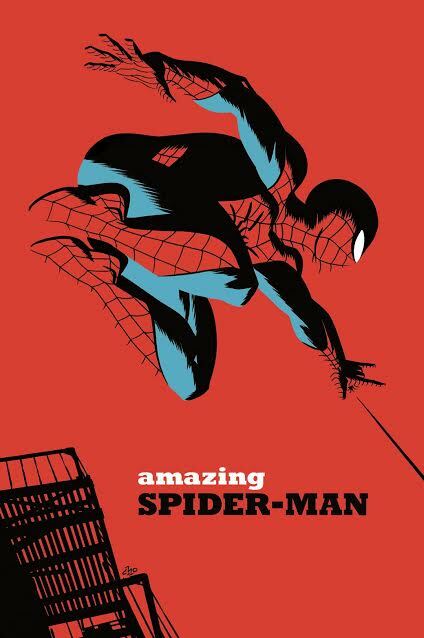 The only variant covers I’ve ever desired are the Michael Cho variants dropping at Marvel this month. But I’m not willing to pay $12 for each of them, and not for titles I’m otherwise passing on. Most agreed with that sentiment. One other reason for readers to buy variants is the simplest of all: because they’re given no other choice. “I think I have actually bought more out of necessity rather than choice, simply because my shop was out of the original cover,” shared Seth McKay. Several shared that reasoning, which makes sense. The majority of readers who contributed answers are just that: “readers.” Many felt uncomfortable with comics as collectibles, saying variations of this line by Batista – “I don’t see the point, personally, of buying something for 10 times the price just because the art on the outside is different when it’s the art on the inside that counts.” Most were in the business of reading the comics, and variant covers were inconsequential to them. That said, some fit the bill. There were several people who buy variants for a multitude of reasons. Sometimes it’s just out of love for the book. She wasn’t alone in that regard, as a few others cited this as an important reason. However, the titles mentioned were all creator-owned. At least the readers I spoke with invest more in that variety of books. Julian Antonio made an interesting note about variants unrelated to the purchase of them: how they introduce him to new artists. There’s value in that for readers, creators and publishers, even if it doesn’t generate revenue. James Kaplan mentioned nostalgia was a big factor for him when he ended up going home with the action figure variants for Star Wars and Secret Wars, as those covers reminded him of his childhood. 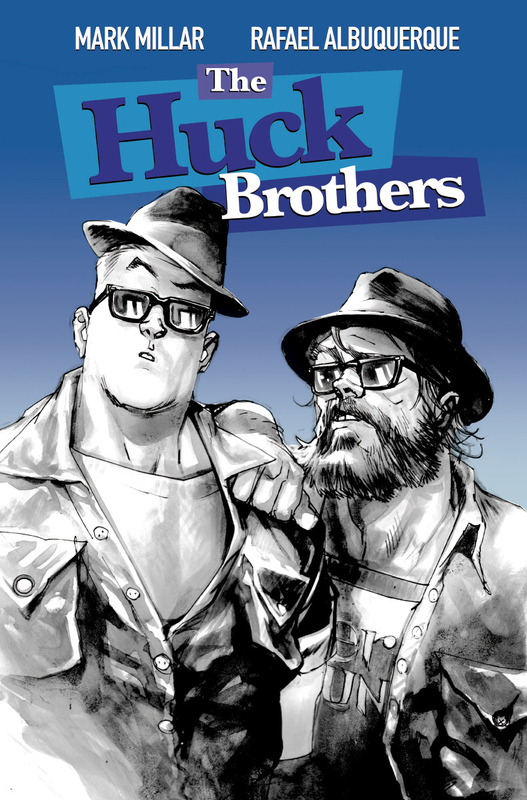 Pascalides agreed with this sentiment, sharing nostalgia as a big part of the appeal of the Huck variants. The most common reason for picking up a variant was the artist, though. And one fascinating note about those who pick up variants was how many were primarily digital readers. Their favorite artists convince them to buy in print as well. Despite great enthusiasm from some, overall, the tenor of the 30 or so respondents was one of ambivalence. Mostly, variants didn’t move the needle or convince them to buy a comic, but they were purchased from time to time out of need. Several were happy with cover price variants, and a few went above and beyond for pieces by artists they enjoyed. However, a few shared frustration with the process. Steve Robinson was one of them. While he used to buy variants and even discovered new titles because of them, these days, he’s sworn off them for the most part. This doesn’t just affect the reader; it impacts their shop, the creative teams and the publisher. That can be a major problem. No one I spoke to had more diverse opinions than comic shops. Retailers have many ideas on the subject, and depending on the shop, variant type, title and publisher, their thoughts could splinter. After all, variants have many wrinkles. Because of that, this is the most complicated section. It is worth noting, though, that even the most anti-variant shops find value in the basic options. They can provide variety to readers without additional cost or greater orders. Shops I spoke to think they’re great. It’s the incentive variants that frustrate the most. We will focus on those here. Let’s start with the shops that are fond of variants. For some, these items can make up a big part of their business. While it depends on the variant, there were shops who have seen substantial value come from them. Dennis Barger of Wonderworld Comics was the strongest supporter, and he shared it was for an array of reasons. Barger also orders some of the more extreme variants with positive results. He ordered a 1:4,999 (meaning to get one copy of the variant, you have to order 4,999 copies of the regular cover) Chip Zdarsky variant for Vader Down #1 that Marvel rolled out. He ended up selling his copy for almost $4,000, paying for half of his print run with just that. Even better, the regular covers featured information about his store on them. The plan is to give them away for purchases of $60 or more at cons this year. Barger calls them “the best business card you can have at a show,” and has found value even in the regular editions of the book. “I have noticed a lot of retailers get very impatient,” he added. While not as universal of a supporter as Barger, Ben Lichtenstein of Zapp Comics has found value in a specific segment of variants: retailer exclusives. These and other, more rare offerings other shops might not carry have driven strong results for his store. 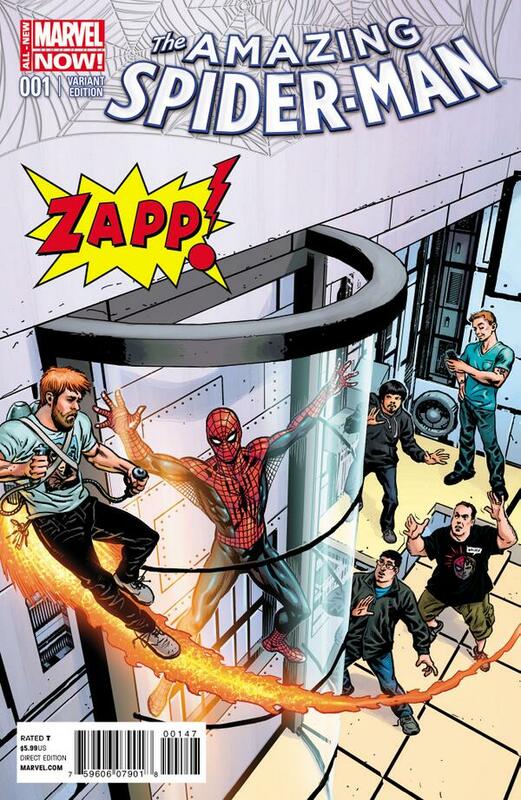 Zapp plays it “safe” by focusing on the most popular titles – like Star Wars and Batman, for example – and Lichtenstein mentioned one particular release as doing well: an Amazing Spider-Man #1 variant featuring shop employees on the cover. Retailer exclusive variants have proven powerful elsewhere, most notably the Ghost Variant program created by a group of shops. That doubled as a successful business venture and a wonderful artistic endeavor. It’s not all roses from Lichtenstein, of course. He shared “variants are not a big part of (Zapp’s) business,” and that shops can “easily get buried in large quantities of unsold books” if they chase the wrong one. But he has found value in certain situations, and a big reason is the “long-term view” they plan these buys with. Being strategic with which variant you buy into is important. Some shops were on the fence about them, although they shared sentiments that were universal. One of the most common refrains was incentive variants aren’t bad if they’re of a reasonable level. Megan Nielsen of Bosco’s Comics said, “if we’re eligible for a variant, we’ll order it.” That’s the case for most. There’s no reason to pass up something you’re eligible for. That said, Nielsen shared even with those, her shop has toned down orders because of a decline in variant sales. Hank Kwon of Bulletproof Comics & Games was one of a bevy of shops who qualified for the aforementioned Dark Knight III 1:5,000 variant DC Comics created. This variant was signed and sketched on by Jim Lee. Each was a one-of-a-kind artifact for the shop. While variants are featured on his shop’s site and he continues to order them, he realizes they can be trying. It’s easy to see why when he explains the story of the DKIII variant. For those betting big on variants, patience is a virtue. But it can wear on even the most easy-going of shop owners. 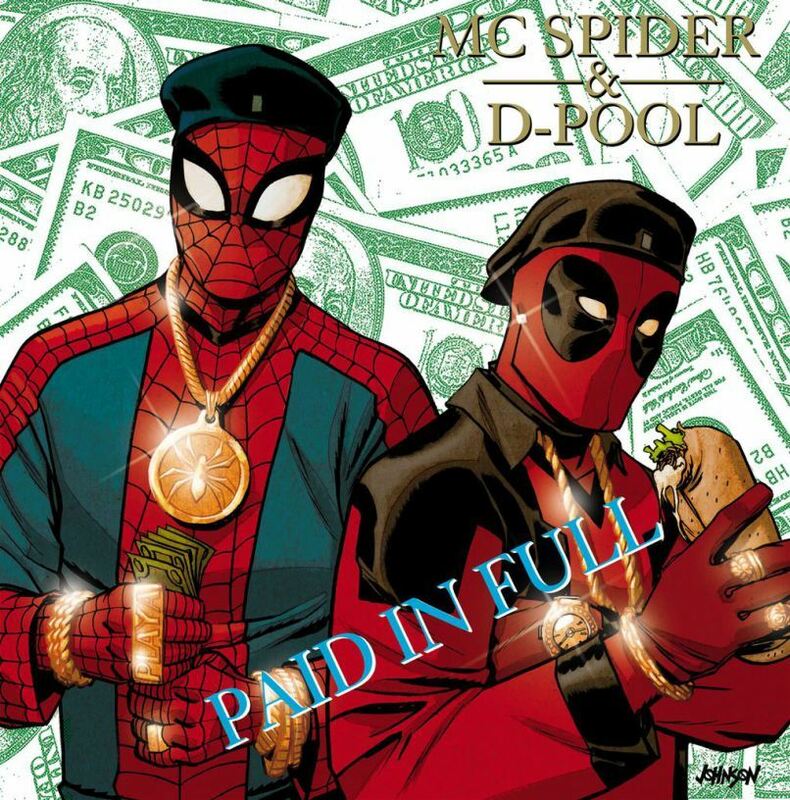 One that weighed on Kwon was the biggest point of consternation of all: Marvel’s Hip-Hop variants. Kwon ordered those to match customer demand…or so he thought. These covers drew the ire of many retailers I spoke to before, like Orbital Comics’ Chris Thompson. He found the hype led to his shop ordering big and the gap to release caused them to sell little. Because of that, his shop will be more cautious with Marvel variants. It didn’t help that the ordering process for those covers was a headache. Several mentioned the mental gymnastics they have to go through as one of the biggest negatives for variants. If that sounds weird, it’s because it is. One upcoming release exemplifies this well. 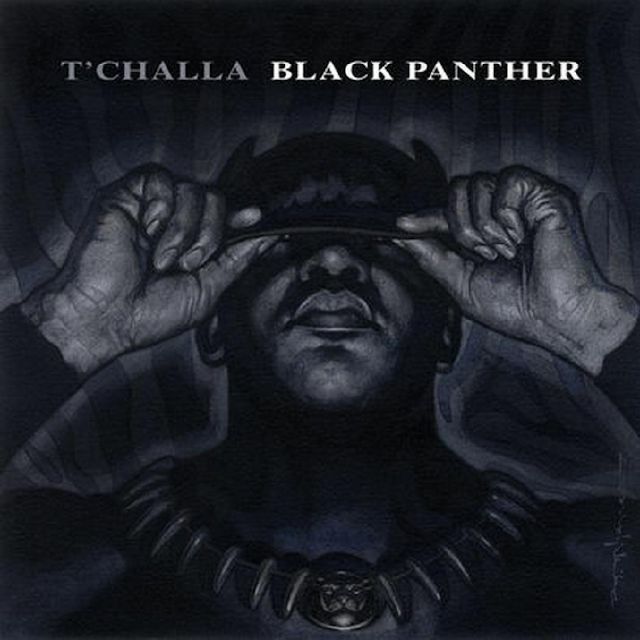 It’s Black Panther #1 at Marvel. There are ten variants available, all of which sound intriguing. To qualify for them, you’d have to calculate your numbers based off five different incentive levels while also ordering 25% more copies for this book than you did with Doctor Strange #2. So if you ordered 100 copies of Doctor Strange #2, you would have to order 125 of Black Panther #1 for three incentives, which would get you anywhere between one and 12 copies of others. From that you’d have to guesstimate how much you’d want of each based off consumer demand. Got that? That’s just one comic of 500 in April. You can guess why retailers say to never get in their line of work. It’s an exhausting process, and one that has made the experience of ordering comics a nightmare. And as some noted, customers don’t care if you can’t meet these demands – they just want the covers, and if you don’t have them, they’ll go elsewhere. It’s a predicament that can make shops seem like the bad guy. Some retailers outright dislike them. 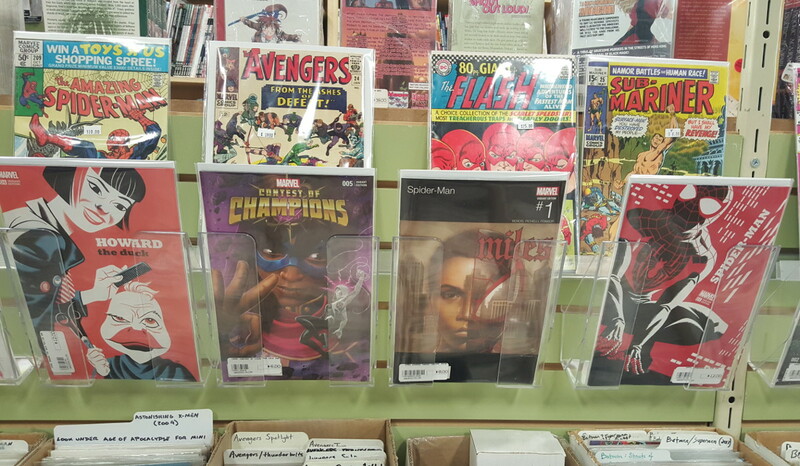 Patrick Brower of Challengers Comics + Conversation said, “they are ridiculous and hurt the industry.” Others I spoke to echoed that sentiment. It doesn’t help that they’ve become so ubiquitous. Barger was the most ardent supporter I spoke to, and even he said if “you do too much, you numb the market to how fresh the variety is.” Again, variants are special until they become the norm, like now. Several shops reported less interest in these items as they become more abundant. That said, there is something to be said for responsibility within the stores. Scott Tomlin of Comics Dungeon – who believes the high incentive variants are dangerous for the industry – shared, “retailers hold the keys here, smart ordering is the way to go. Variants are gravy, but sometimes you have to pass on the gravy.” He’s right. If these items didn’t move, publishers wouldn’t make them. Enough shops are ordering them that they’ve proven valuable to publishers, and as businesses, of course they’re going to keep going with what adds to their bottom line. Shops have to be careful in their variant tactics, especially now. We know the basic reason publishers create these items: money. They bring in revenue and they get people talking, and both are currency in the world of comics. But each publisher approaches them differently. Before getting into their thoughts on variants, let’s examine numbers from comics coming in April. We know a lot of variants are in the mix there, but who is releasing the most? 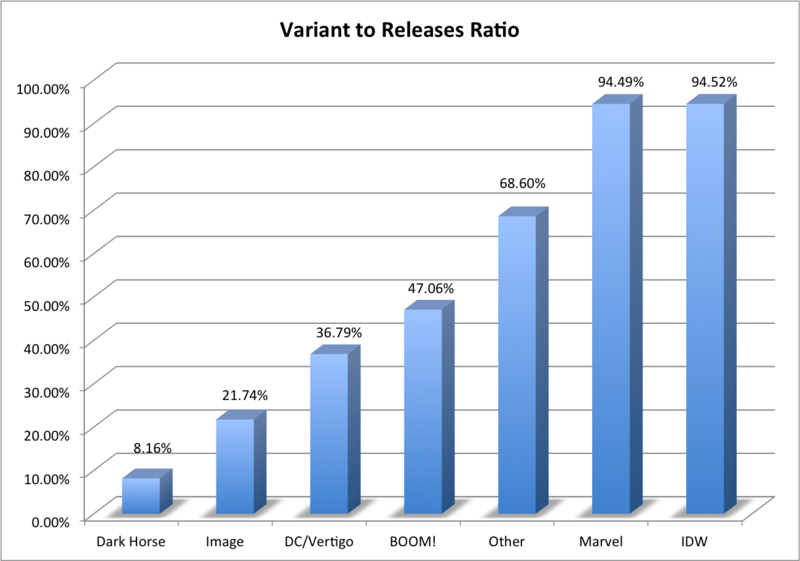 This first chart examines a simple ratio: the total amount of comics – not including collections – that are being published with a variant to go along with it. On the high end is IDW. From my count, over 89% of their releases in April come with a variant. 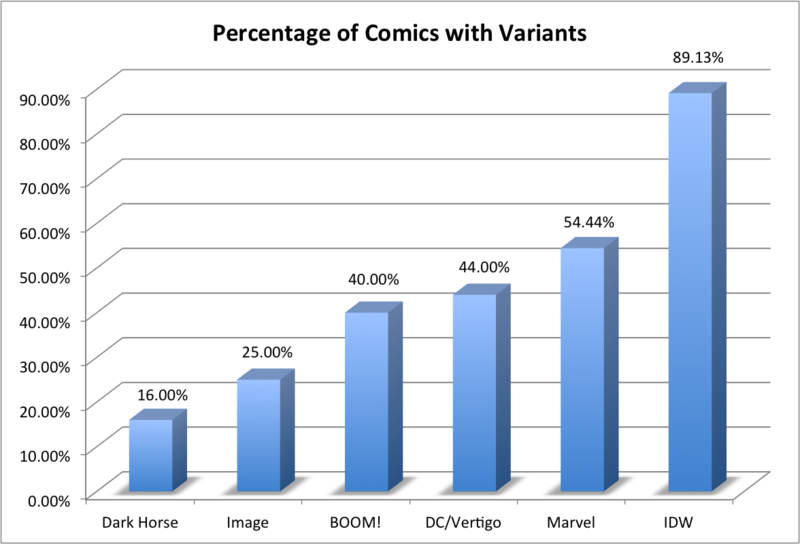 Marvel and DC are within range of 50%, and Dark Horse and Image bring up the rear. Now let’s look at another breakdown. This one is releases – including collections – divided by the total variants at each publisher. IDW is still at the top, but in this iteration (which counts each variant in total rather than each comic that has a variant), Marvel is close to the top. A lot of books at Marvel have a laundry list of variants, with the aforementioned Black Panther #1 and Poe Dameron #1 having ten each to lead the way. Both publishers have almost one variant per release. That’s well above average. Both pale in comparison to other houses, though. Boundless Comics is releasing two comics in April with an unconscionable 37 variants – almost 19 per release! While they were the clear leader, Avatar wasn’t far behind, as their release list was outnumbered by variants 4.5 to one. One number I found interesting was how DC/Vertigo decreased chart to chart. While they employed a fair amount of incentive variants, few of their titles had more than one variant. That wasn’t what I expected. When you look at the charts above, each publisher clearly has a different perspective on their value. While I could guess at the reasons behind their usage, it only felt fair to give them the chance to share why they use variants as much as they do. Not every publisher participated, of course. DC Comics never responded, BOOM! declined comment, and both IDW and Valiant didn’t get answers back in time for release. But others did, and they provide valuable insight. Let’s start with the house who releases the least: Dark Horse. “We’re not in the business of using variants as a means (to) spike market share or forcing completists to have to purchase twenty different covers of the same issue. We’re rather selective when choosing to do variants on our books and base our decisions on titles we know the retailers can sell and fans will want. We also structure our variant incentives in a realistic way so that any retailer can qualify for variant cover ordering,” shared Matt Parkinson, Dark Horse’s Vice President of Marketing. The second lowest user – and one who primarily ran A/B variants requiring no additional orders – was Image. I spoke to both their head and one of the top creators. Let’s start with Eric Stephenson, their publisher. I asked him for Image’s stance on variants, and it was a subject he had strong feelings on. While they no longer produce incentive variants on comics, they are creating them for trades. Stephenson views them as items with a longer shelf life that also can be acquired without enormous order requirements. He said that project is in its infancy and that they will keep an eye on how it works for all involved. “As with everything we do, the main criteria is whether or not it’s promoting sustainable growth,” Stephenson said. As a creator-owned house, Image’s writers and artists play a factor in whether the more innocuous A/B variants are included in the mix. 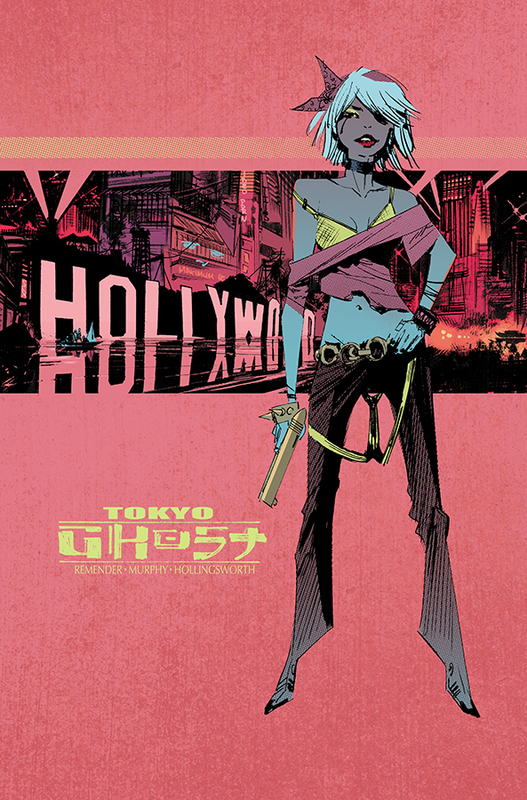 I spoke with Sean Murphy on why his book with Rick Remender, Tokyo Ghost, isn’t hiring outside artists for variants. Oni Press isn’t a huge user of variants. However, they do leverage them occasionally, typically with only one extra cover. Their Editor-in-Chief, James Lucas Jones, shared his thoughts on them. The last publisher who provided feedback for the piece was Marvel. It’s a touchy subject they’re at the center of. They know this. Still, David Gabriel – their SVP of Sales and Marketing – provided insight into how and why they use variants. He was the perfect person to do so, as he was the one who brought them back to Marvel. According to Gabriel, Marvel’s aware of the outcry against variants, but he noted this isn’t something shops are unified against in their perspective. He realizes the process can be difficult, however. Knowing many retailers struggled with the experience of ordering the Hip-Hop covers, I asked Gabriel how that will impact what they do going forward. Thankfully, he shared they are aware of the difficulties. “So regardless of whether they met the incentive initially or had to do the math to make it work (and possibly doing the math incorrectly, as well), retailers were bleary eyed by the time they finished placing their orders. This was the story I heard from every single retailer I spoke to,” he added. The good news is they’re working with Diamond Comics Distributors on a solution to ease the process, which should roll out soon. In their most basic form, variants aren’t a bad thing. They’re like social media or smart phones or many other modern contrivances often blamed for the ills of the world. As a whole, it’s easy to see the inherent appeal and value of variants. They can be cool. These covers can show off a favorite artist in a new way or reveal another artist’s take on a comic you enjoy. They can stimulate the market and introduce readers to new titles and creators. In short, variant covers can be a powerful tool that brings real, tangible results. As with anything, though, it all depends on how you use them. Where variant covers go wrong is when the process is so convoluted comic shops have to study historical data like scripture just to figure out if they are ordering enough to get what they want (and even then they might screw up). Or when the average reader is desensitized by them or don’t even know when they’re buying one. Or when they’ve become so commonplace they aren’t special anymore. When they’re just another trope that confuses readers, frustrates retailers and doesn’t develop the industry in a sustainable way, that’s when variant covers become a net negative. And we’re there. While I think there’s a place for them, their ubiquitous nature is a detriment to their own value. The industry could stand to dial back the usage and rethink how they roll these products out to their customers. The good news is, from the sound of it, that’s happening. Marvel sharing they’re both considering how they employ them and working on a new method to simplify the ordering of percentage based incentive variants is big. Others, like Image, have already made adjustments to how they handle these items, while Oni and Dark Horse are approaching the subject with all players considered. Sure, the same can’t be said for every publisher, but we’re seeing positive movement at the top. And let’s be honest: it’s a complicated issue. These publishers are businesses and their goal is to make money. Variant covers help do that, at least for a time. And for some retailers, these items have and likely will continue to be a boon. Some readers lust over them, turning them into collectors items they will forever treasure. It’s not an open and shut case of “variants are bad and should be stopped.” Again, it’s a matter of perspective, and for some, the growth of variants has been welcome. But the trend of variant usage needs to be reversed. While retailers are complicit in that – as Tomlin suggested, shops need to pass on them if they want to protect themselves – this is a top down issue. There are too many variants today and the ordering process could and should be simplified. I shouldn’t get a headache reading an email explaining how to order one title’s variant covers. I really shouldn’t. But that’s where we are. While I would never suggest they should be wiped out, all players involved should take a long, hard look at how variants are positioned today. It’s a subject that could determine not just the short-term viability of the direct market, but its long-term prospects as well. 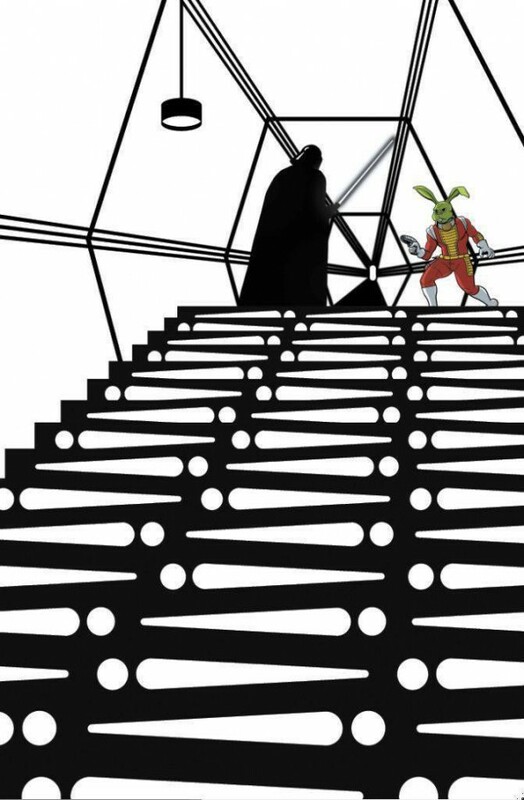 Header image from Joe Quesada’s variant for Star Wars #1. Thanks to Dennis Barger, Bruno Batista, Peter Bickford, Patrick Brower, David Gabriel, Robert Harris, John Jackson Miller, Hank Kwon, Ben Lichtenstein, Sean Murphy, Megan Nielsen, Matt Parkinson, Eric Stephenson, Chris Thompson, Scott Tomlin and a laundry list of readers for sharing their perspectives for this piece. Come back tomorrow for the publisher comments in their full form. April 2016 numbers manually counted and calculated by myself using Previews as a guide.